Just back from Philadelphia where a short visit with family and friends turned into a culinary adventure. Philadelphia, known to most as the City of Brotherly Love, is known to me as a mecca of good food. 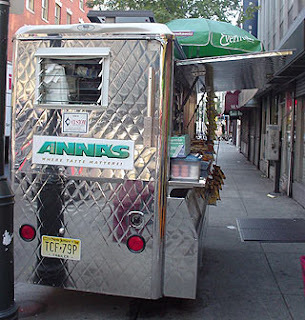 The first stop on my culinary feast was to Anna's food cart on the SW corner of 18th and Chestnut. I had read so much about Anna's breakfast sandwiches prior to leaving for my trip that I insisted my husband and I give them a try. We shared the bacon, egg and cheese with ketchup (yes, we put ketchup on our eggs, like most people we know from Philly). The sandwich was delicious and lived up to it's reputation. Our next food adventure was a get together at a friend's house. We ordered stromboli's from Pizza Shack. (which we all agreed were not as good as Cacia's). I had been craving stromboli's for months and hadn't been able to find them in Phoenix. So this was a real treat for me. 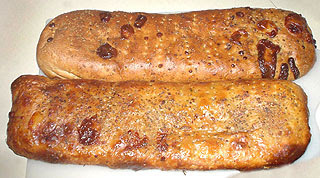 For those of you that don't know a stromboli is pizza dough rolled jelly roll style and filled with a combination of meats and cheese. My two favorites are the pepperoni and cheese and the cheese steak. 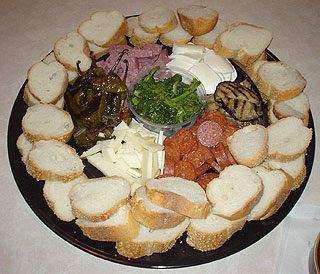 The owner of Demarco's Italian Specialties, who happens to be a good friend of ours, brought over a tray of Italian delicacies from his store. There was some hot fried peppers, some provolone cheese, pepperoni, salami, grilled vegetables and some broccoli rabe. We ended our first day of feasting with sticky buns from Frangelli's and cupcakes from Termini's. 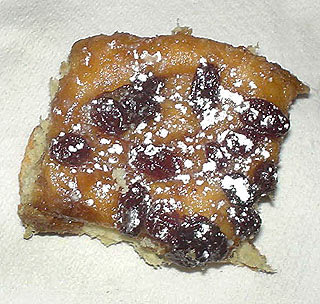 My favorite are the sticky buns and in my opinion Frangelli's does them the best. Dontcha miss food carts?!! Fortunately there is a bit of a food cart revolution in D.C. and they're really catching on. Quick, cheap, good food. What's not to miss!